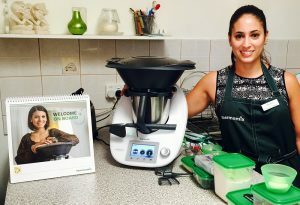 A Thermomix is an all-in-one kitchen appliance that combines the functions of 12 appliances such as weighing, chopping, mixing, milling, kneading, cooking and steaming. To view videos of these functions click here. Designed in Germany by Vorwerk, Thermomix can help you get back to basics and cook real food in minutes, saving you time and effort. 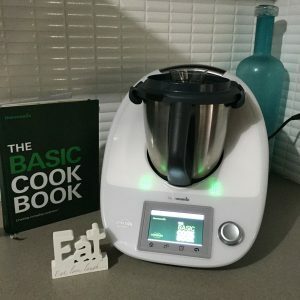 Thermomix allows you to cook from scratch and create healthy nutritious meals tailored to your family’s needs such as limiting preservatives or managing food allergies or intolerances. If you haven’t seen a Thermomix in action the best thing to do is book an in-home demo or go to a cooking class. With all the amazing functions the Thermomix can do, you really have to see it to believe it.